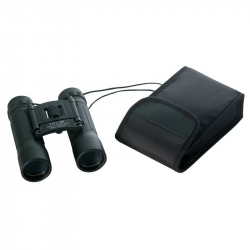 OPSWISS(TM) 10x25 Binoculars feature brilliant, distortion-free images, even in low light at dawn or dusk. 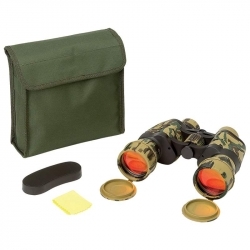 OPSWISS(TM) Binoculars are ideal for viewing rare birds, distant scenery, and favorite athletes at sports events, or in search of elusive game hidden deep in the woods. 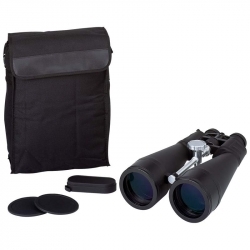 Include hinged 4-3/8' long barrels, center wheel focus, neck strap, rubber eye cups, sapphire blue lenses for glare reduction, and carrying case with belt loop. Limited 10 year warranty. Gift boxed. 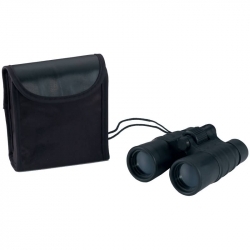 See up to 40 miles with theses high powered binoculars! 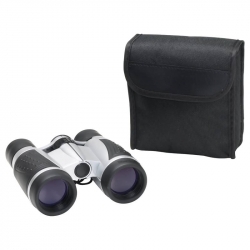 Lightweight and compact, the Magnacraft 5x30 binoculars feature sapphire blue lenses for glare reduction and soft rubber eye cups for additional comfort. 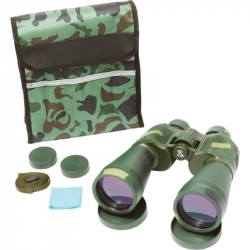 Also include lens cloth, neck strap and carrying case with belt loop. Barrels measure 4-1/2' long. Limited 10 year warranty. Gift boxed. Such high-quality this pair has a 50 year warranty! 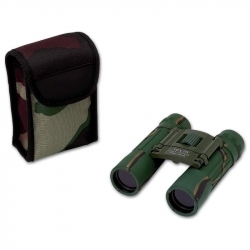 Bring the scenery up close with the OpSwiss(R) 10x50 Camoflage Binoculars. Features XLR ruby coated lenses for more light and less glare, a neck strap, a carrying case with strap and a lens cloth. Hinged barrels measure 5-3/4' long. Limited 50 year warranty. Gift boxed. Feature shotgun hinged barrels; center wheel focus; fold-down rubber eye cups; neck strap; and matching camouflage carrying case with belt loop and hook and loop fastener. Sapphire blue coating on lenses helps cut down on glare. Barrels measure 4-3/8' long. Limited 10 year warranty. Gift boxed. 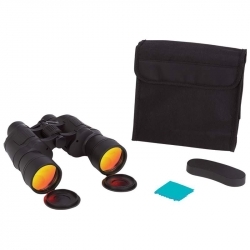 Magnacraft(R) 10x50 Binoculars with Ruby Red Coated Lenses for Glare Reduction. Feature center wheel focus; built-in compass; finger mats and thumb grooves for firm grip; rubber eye cups; and carrying case with adjustable shoulder strap. Barrels measure 7" long. Limited 10 year warranty. Gift boxed. Feature center wheel focus, hinged barrels, neck strap, and carrying case. 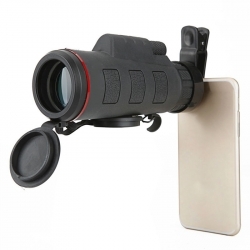 Great for concerts and sporting events. Barrels measure 4-1/2' long. Limited 10 year warranty. Gift boxed.